Sarah started swing dancing in 2006 in her hometown of Los Angeles. She has competed and placed at events as an individual, partnered, and team competitor. In her teaching as well as her dancing, she hopes to bring a sense of joy, creativity, and connection. She works to foster a learning environment in which students can develop not only their technique and movement vocabulary, but also trust and curiosity in exploring their dancing. Her favorite thing about dancing in LA is the opportunity to dance to live music almost every night of the week-something she'd love to help grow in the San Diego swing community! Matteo has been swing dancing for over 10 years, and is regarded as living proof that even a potato can dance. He places regularly in amateur competitions, such as ILHC, Lindy Focus, Camp Hollywood, California Balboa Classic, and Inspiration Weekend. Matteo previously lived in Michigan where he taught classes, organized a swing club, workshops, and co-lead a swing team. 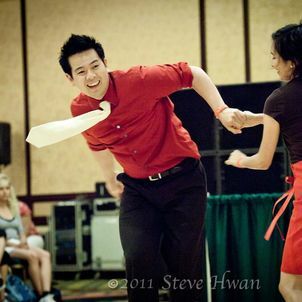 He has been part of many swing teams and is currently an enthusiastic member of the Finest City Shakers. He sincerely believes that the world would be a better place if everyone lindy hopped, or at least learned a partner dance, as it not only teaches how to use your body effectively, but also communication skills. Elizabeth started swing dancing in February of 2007 at the Firehouse. She instantly fell in love with the dance and the community. 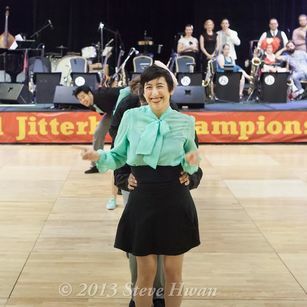 Over the past 11 years, Elizabeth has taught lindy hop and balboa in San Diego. She has also competed nationally in both dances - individually and with teams. Elizabeth enjoys DJing at the Firehouse on a regular basis and social dancing in the local scene. She hopes to instill strong foundational technique and fun in her teaching of the dances she enjoys most. Janet began dancing swing and blues in 2011. Always a lover of dance, she was introduced to blues dancing in San Luis Obispo and fell in love. She never looked back. 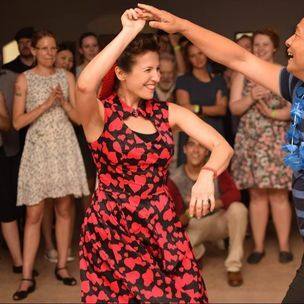 Janet has travelled the country and the world to attend dance workshops in Blues, Lindy Hop, and Balboa. 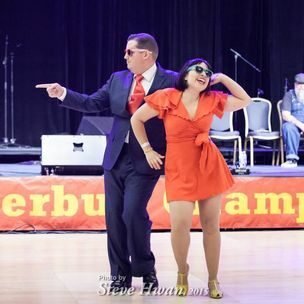 The sensation found in a well-connected blues or swing partnership is MAGIC, and it’s the pursuit of a more perfect partnered connection that Janet enjoys most about teaching.